Hazleton Integration Project today was announced as one of five $20,000 grant recipients in the third annual Renewal Awards. The winners, announced at a symposium in New Orleans by The Atlantic and Allstate, are honored for their innovative, grassroots approach to driving change in their communities and bringing progress to the country, a news release states. Five winners and five runners-up were selected for the third annual award, which comes with $150,000 in grants from Allstate, the sponsor of the awards, to further their work. 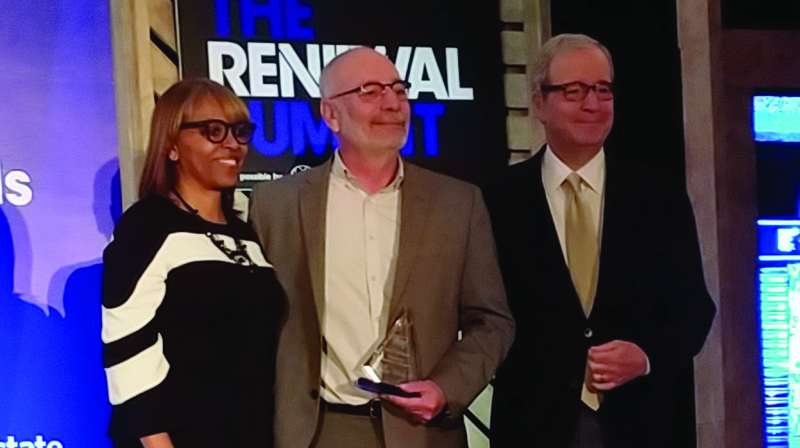 This year’s Renewal Award recipients offer vastly different services with a common underpinning: to expand the scale of opportunity for a diversifying America, the release states. Hazleton Integration Project was one of 25 finalists for the award, having been selected out of 3,000 organizations that were nominated. Many of this year’s winners are focused on building bridges to the social and economic mainstream for populations that have been excluded but are growing. Their work includes serving low-income or disadvantaged populations by offering job and entrepreneurship opportunities, mentorship and educational resources. The winners have affected thousands of lives and serve as role models for other organizations grappling with how to drive change in communities across the country. The Renewal Awards drew nearly 3,000 nominations, six times the number of nominations as in 2017. Judging criteria included the current and future impact of each nominee’s program and the program’s ability to be replicated in other communities. Each winner receives a $20,000 grant from Allstate to further their work. Five runners-up also receive a $10,000 grant from Allstate — a new element in this year’s awards. The honorees were selected by public vote and a judges’ panel comprised of The Atlantic editors, led by senior editor Ron Brownstein, past Renewal Award winners, and outside members. Organizations in Oakland, California; Austin, Texas; Memphis, Tennessee and New Orleans also received $20,000 grants.